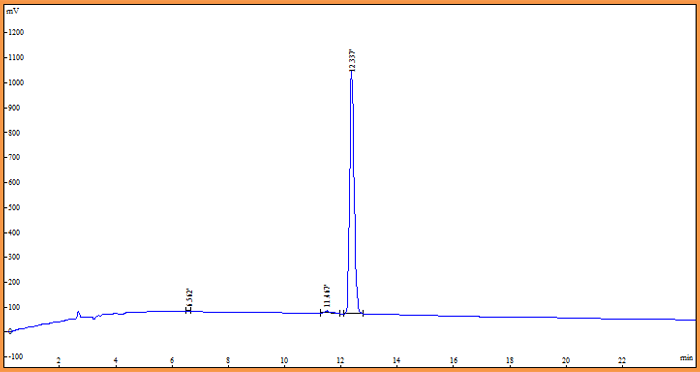 Cyclic peptides are a class of compounds with improved biological activities ranging from antibiotics to immunosuppressant drugs and toxins. They are much more resistant to enzyme degradation than non-cyclic peptide chains and are able to bind drug targets in vivo. These cyclic peptides can be modified using several approaches to enhance peptide stability such as N- and C-terminal capping, D-amino acids, side chain modifications, unique amino acids, N-alkylation of amide nitrogen and cyclization. 1. Head-to-tail cyclized peptide: this is where the entire amino acid sequence is involved in the cyclization structure. 2. 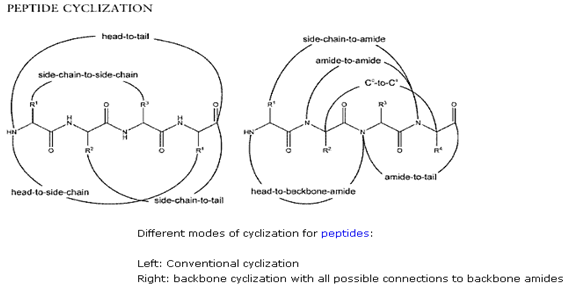 One or more cycles per peptide: this is where a part of the sequence is involved in the formation of the cycle(s). 3. Cycles can be formed either by an amide bond or disulfide (-SS-) bridge formed between two residues of amino acids (cysteine or penicilamine).